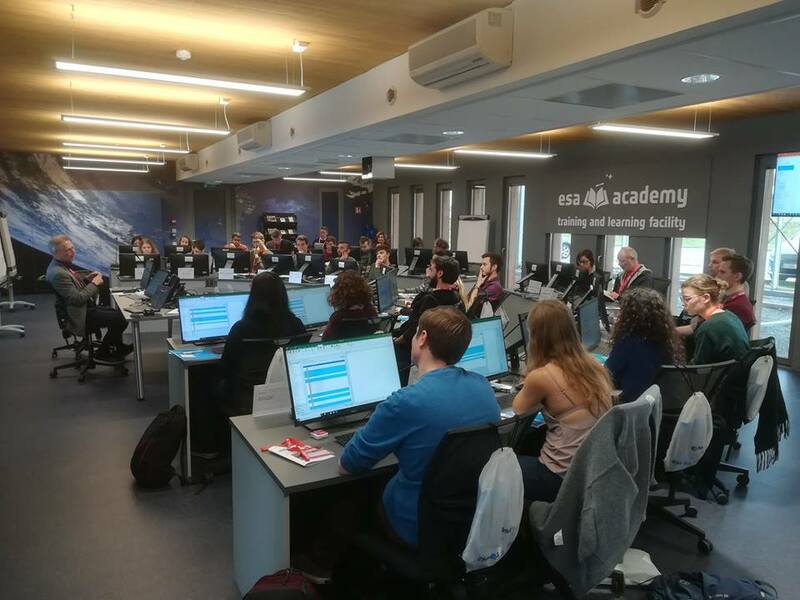 The Summer School Alpbach is complemented by the Post-Alpbach Summer School Event, which is a 5-day event that takes place at the end of November in the ESA Academy's Training and Learning Facility at ESEC-Galaxia in Belgium. This Facility is also an educational Concurrent Design Facility, which was established in 2016. A Concurrent Design Facility is primarily used to assess the technical and financial feasibility of future space missions and new spacecraft concepts, through the Concurrent Engineering approach. At ESA, it can be defined as: "Concurrent Engineering (CE) is a systematic approach to integrated product development that emphasises the response to customer expectations. It embodies team values of co-operation, trust and sharing in such a manner that decision making is by consensus, involving all perspectives in parallel, from the beginning of the product life-cycle." Essentially, CE provides a collaborative, co-operative, collective and simultaneous engineering working environment, in which the participants are split in different disciplines following their area of expertise. The spacecraft design is based on mathematical models, which make use of custom software and linked spreadsheets. By these means, a consistent set of design parameters can be defined and exchanged throughout the study, and any changes which may have an impact on other disciplines can immediately be identified and collectively assessed. In this way, a number of design iterations can be performed, and different design options can easily be analysed and compared. During the Post-Alpbach Summer School Event, students from the Alpbach Summer School design further one of the missions developed during the Summer School using the Concurrent Engineering approach. The mission is selected at the end of the Summer School by the Alpbach Summer School Jury and all the students who participated in the Summer School are invited to apply for the Post-Alpbach Summer School Event. When applying, the students have the opportunity to select the three domains of expertise, in which they have the best knowledge. 24 selected students are divided in teams of 2-4 persons to cover the different disciplines of the mission. Guided by two ESA Systems Engineers and a few Tutors from the Summer School, the students iterate on the mission concept and design to improve and consolidate it as much as possible. At the end of the Event, the students have the opportunity to present their results to a panel of experts and answer their questions. Afterwards, the students are encouraged by FFG and ESA to present their results at an international conference or to try and publish an article in a scientific journal.